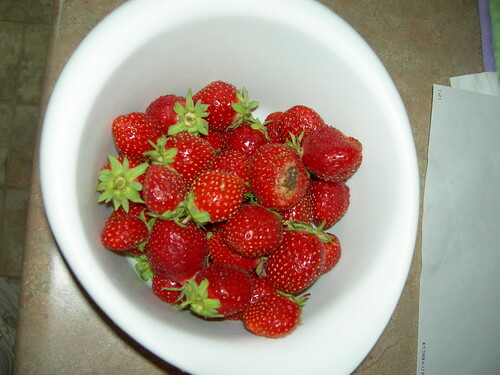 This is my first experience growing strawberries. I wanted a cultivar that would produce strawberries the first year, so I selected a day neutral type (Tribute). I received the plants and immediately planted them. 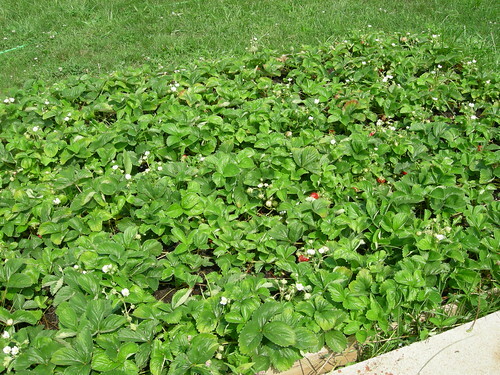 This planting is in the Strawberry garden . 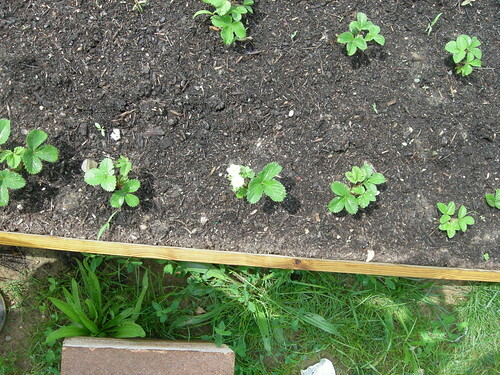 Your strawberry bed is going to be awesome once the plants are established. There’s a U-pick strawberry place about 3 miles from where I live, so I’ve decided to not grow them. But oh how I love them…. Nice patch. They are a lot of work though. Day Neutrals have a three year cycle for production, which then tapers off. You can keep your bed producing for years by planting a runner from each plant each year, but don’t cut them free from the parent for at least 10 days. Make sure that you prune off any unwanted runners, because they will drain energy from production. I started in 2008 with 75 plants and now have over 2000.